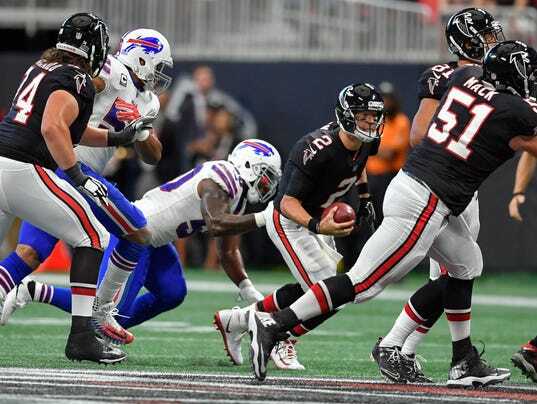 The Bills are in Atlanta Sunday afternoon to take on the Falcons in the second regular-season game ever played at new Mercedes-Benz Stadium. The Falcons scored first on a 28-yard field goal in the second quarter. The Bills scored on their next possession on a pass from Tyrod Taylor to Jordan Matthews. More: We know Falcons’ offense is for real, is Buffalo’s defense?